ASSEMBLE: made and curated by Justin Brown is a gathering of people and objects; a retail experience where furniture, art and materials inspire, provoke imagination and provide unique design solutions for the home. The goal is to offer an independent alternative in both the furniture and gift market, where art and functionality meet. A space to inspire customers to enhance their own spaces with a curated mix of custom, repurposed, handmade and vintage design solutions. 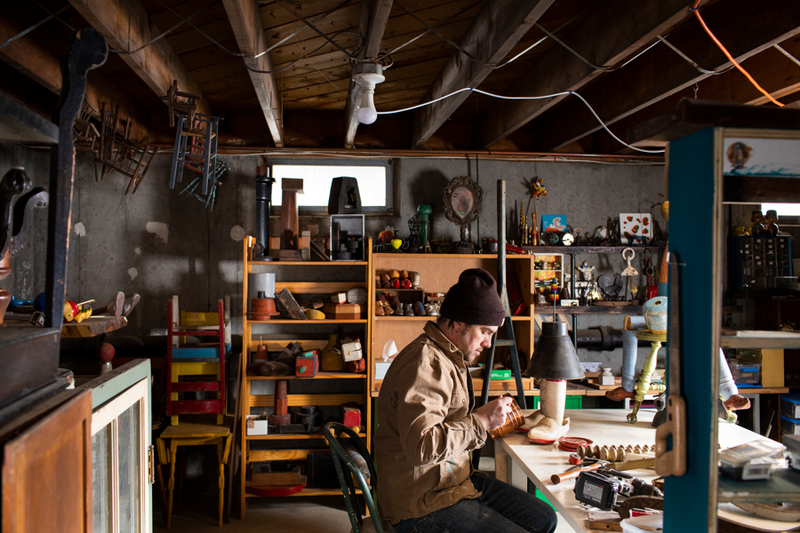 Justin Brown is an artist, carpenter and maker. ASSEMBLE brings together his unique vision, work history, and entrepreneurial passion in a retail concept unique in the Pioneer Valley. Justin focuses on creating custom pieces of furniture as well as refinishing and repurposing existing styles. In addition to furniture designs, he showcases his successful sculptural assemblages, curates vintage and found objects, manages a roster of local independent artists, and maintains a full schedule of in-store events.